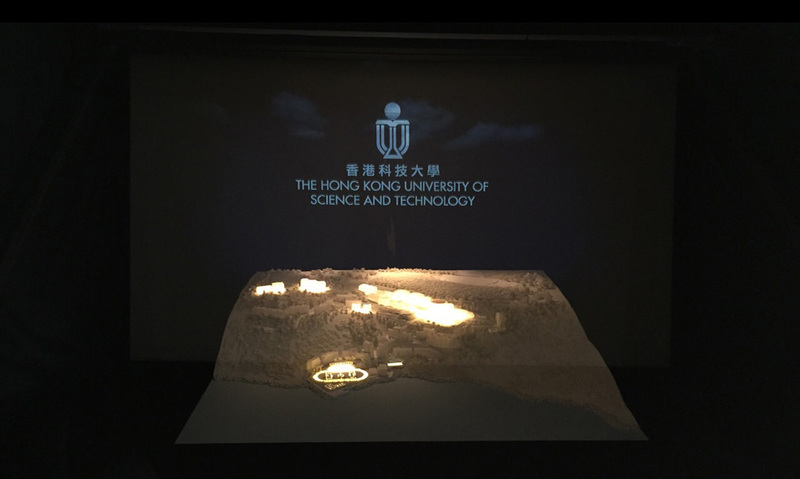 Leovation commissioned to supply and installed the interactive tables and holographic effects to revamp the Visitor Information Center at HKUST. 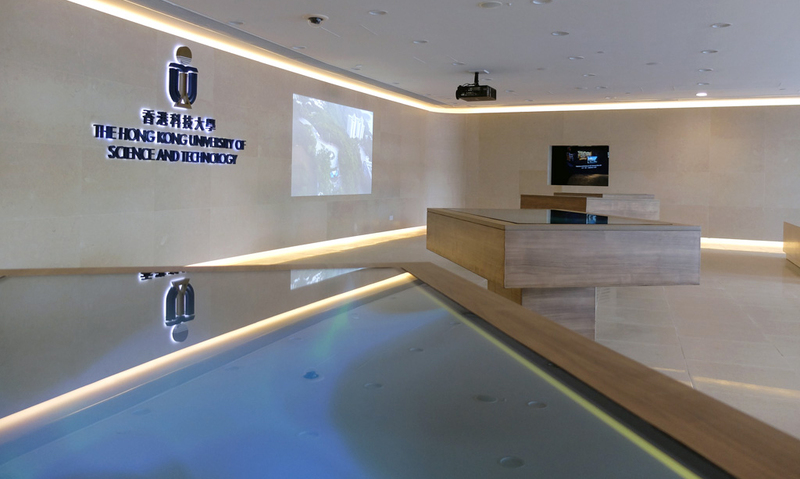 The Information Center is constructed uniquely as a seamless integration of architecture and technology. 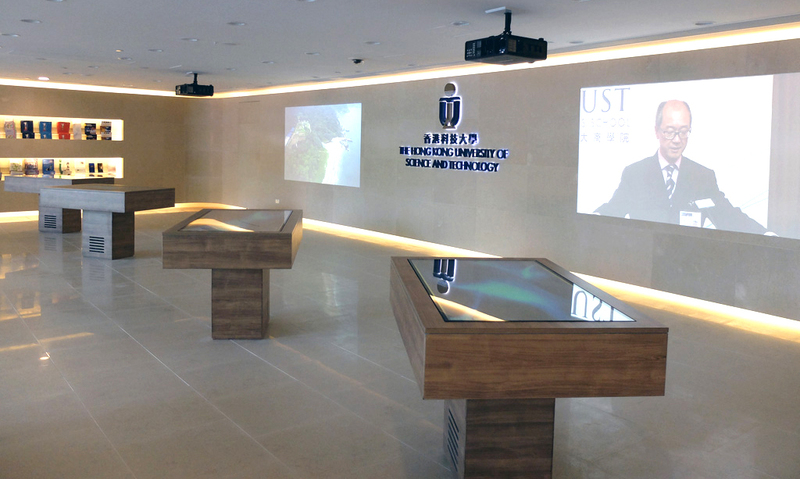 It’s a true information space, destined to offer visitors and prospective students to explore their academic interests, school programs and information at their level of engagement. 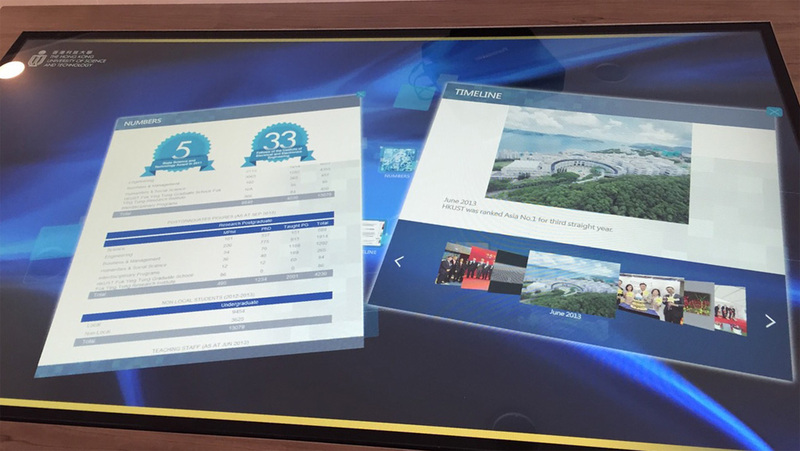 The visitors can select photos and videos from interactive tables and projected on the video walls, an enormous projection provided for a visual preview of their experience.